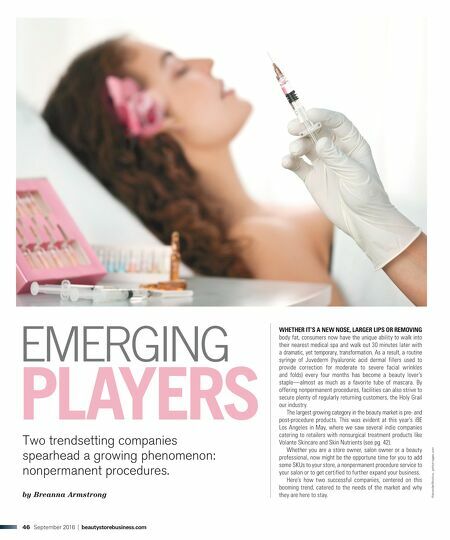 46 September 2016 | beautystorebusiness.com AlexanderNovikov, gettyimages.com Two trendsetting companies spearhead a growing phenomenon: nonpermanent procedures. by Breanna Armstrong WHETHER IT'S A NEW NOSE, LARGER LIPS OR REMOVING body fat, consumers now have the unique ability to walk into their nearest medical spa and walk out 30 minutes later with a dramatic, yet temporary, transformation. As a result, a routine syringe of Juvederm (hyaluronic acid dermal fillers used to provide correction for moderate to severe facial wrinkles and folds) every four months has become a beauty lover's staple—almost as much as a favorite tube of mascara. By offering nonpermanent procedures, facilities can also strive to secure plenty of regularly returning customers, the Holy Grail our industry. 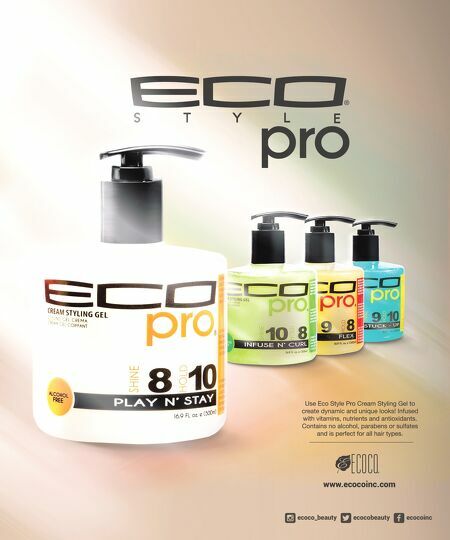 The largest growing category in the beauty market is pre- and post-procedure products. This was evident at this year's iBE Los Angeles in May, where we saw several indie companies catering to retailers with nonsurgical treatment products like Volante Skincare and Skin Nutrients (see pg. 42). Whether you are a store owner, salon owner or a beauty professional, now might be the opportune time for you to add some SKUs to your store, a nonpermanent procedure service to your salon or to get certified to further expand your business. Here's how two successful companies, centered on this booming trend, catered to the needs of the market and why they are here to stay.